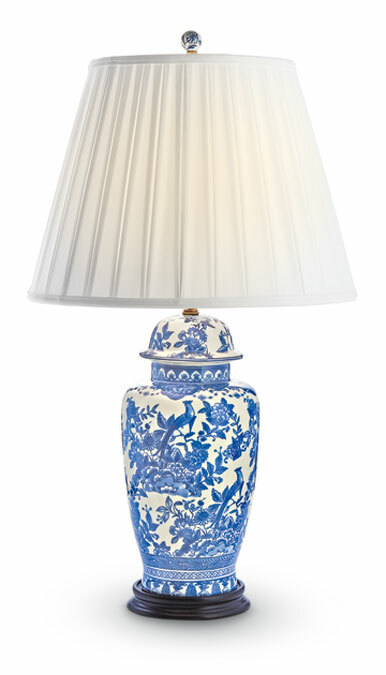 A pleated white shade tops this classic blue and white porcelain temple jar lamp with wood base. Three-way socket; maximum 150W. 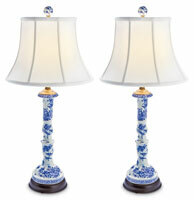 Lamp: 8”DIA. x 32.5”H. Polyester shade: 18”DIA. x 13”H.